We Dare You to Journey WHERE MONSTERS DWELL – A New SECRET WARS Series. Garth Ennis & Russ Braun Enter the WARZONE! For New Series! 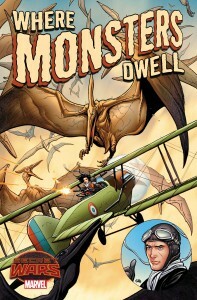 Marooned in the Valley of Flame alongside socialite Clementine Franklin-Cox, he’ll face down dinosaurs, cannibals, and the worst that Battleworld has to offer from inside the cockpit of his biplane. 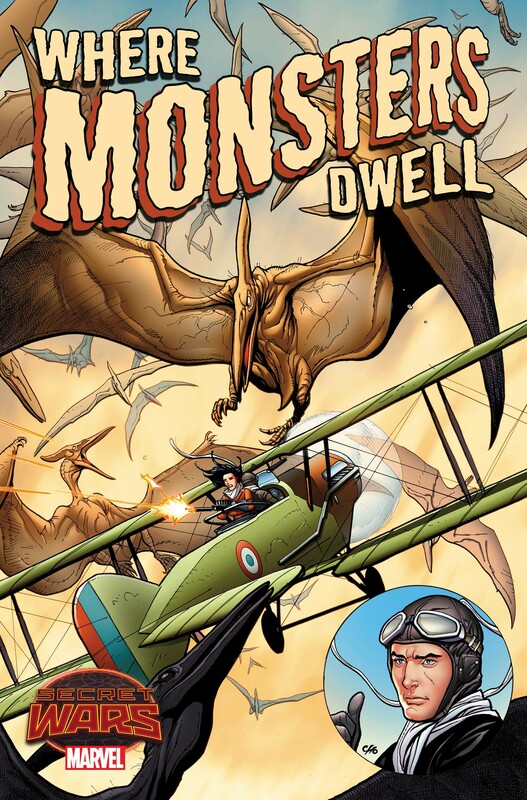 Fighter planes and prehistoric creatures collide this May in a raucous tale of the Phantom Eagle as Garth Ennis and Russ Braun dare you to enter WHERE MONSTERS DWELL.